Welcome to UWPG's second collection of photos in the "Friends of the Guide" series. We received submissions from many photographers with great images shot this past spring, including wide-angle, macro, quick-action, rare critters and creative camera/lighting techniques. 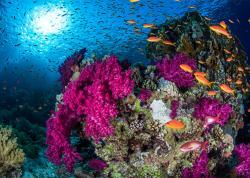 It was tough to select our favorite images and we hope these serve as inspiration for your next dive. I'm certainly inspired! Unique, outstanding presentation of a commonly photographed macro subject. RAW file was verified - not done in photoshop! 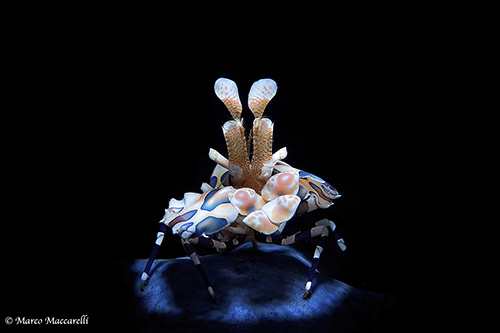 Harlequin Shrimp by Marco Maccarelli. Shot with homemade snoot. Canon 50D in Sea & Sea Housing, 1/250, F-14, Iso 100. Marco Maccarelli. 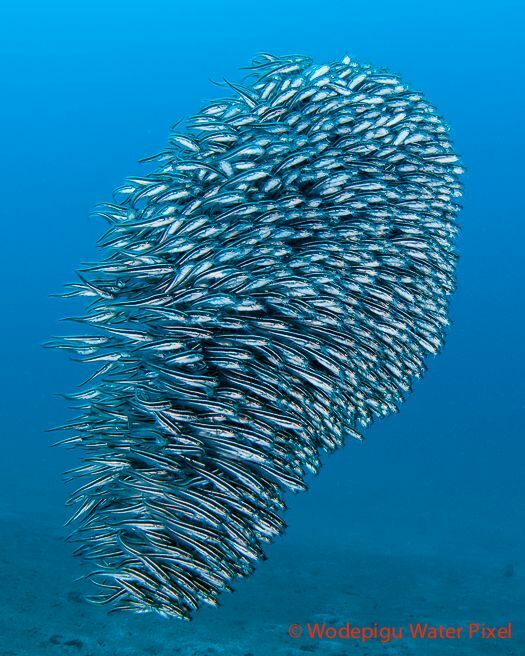 Juvenile catfish are common, but this formation is a once in a lifetime find! Catfish Tornado by Victor Tang. 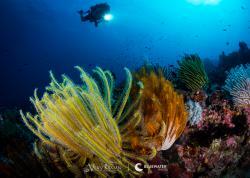 Nikon D300 in Seatool Housing, Twin Sea & Sea YS-D1 Strobes, Tokina 10-17 FIsheye at 17mm, ISO200, F9 at 1/80s. Wodepigu Water Pixel. Gorgeous photo of an extremely rare and beautiful macro subject. 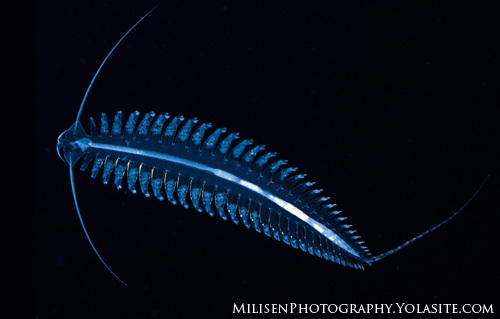 The mushroom coral pipefish is more common. Simply stunning. 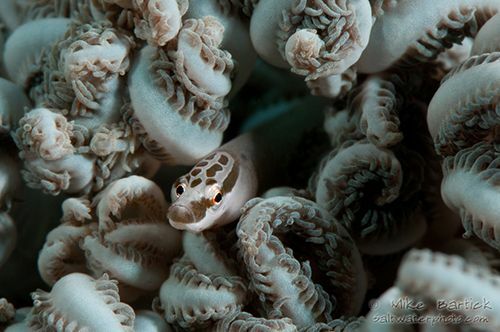 You never know what you will see on a black-water dive in Kona! 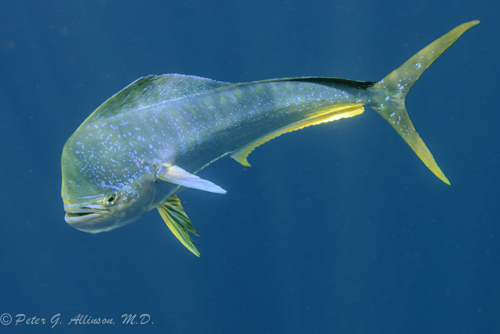 Also known as mahi-mahi - perfectly exposed and composed. Many photographers would love to have this photo on their wall. A lovely nudibranch shot that really pops. 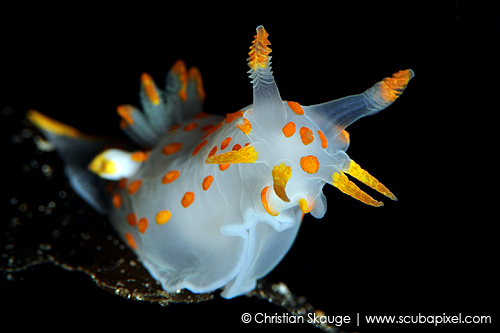 Nudibranch by Christian Skauge. A Polycera quadrilineata nudibranch posing at the edge of a kelp frond. Captured at the Nudibranch Safari at Gulen Dive Resort, Norway. Nikon D90 in Nauticam housing, 105 mm + 1.4x TC, 2 x Inon Z-240 strobes, 1/160 sec, f/29, ISO 250. www.scubapixel.com. It is difficult to show off such a well-camouflaged creature, but Ken's photo does it well. 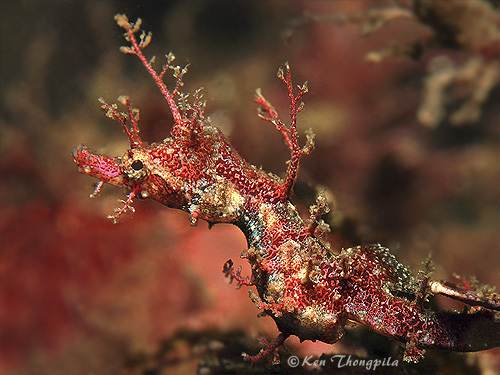 Pygmy Pipehorse by Ken Thongpila. 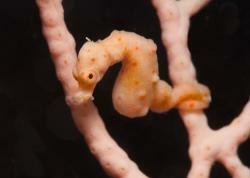 Pygmy Pipehorse is one of Sydney's rare critters. Very well camouflaged and very hard to spot. Bare Island, Botany Bay, Sydney, NSW, Australia. F-13 1/100 ISO 200. www.aboutken.com and Underwater Macro Photographers. Schooling sweetlips don't get much better than this. The photographer was most likely very calm and patient to capture such a shot. 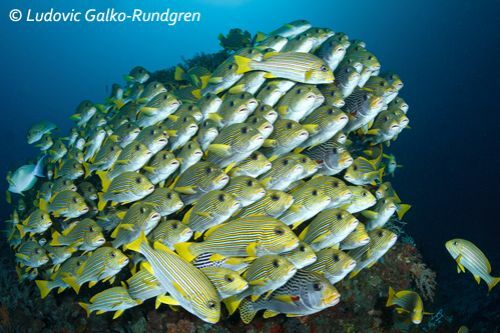 Sweetlips School by Ludovic Galko-Rundgren. 40m down at the famous dive site Cape Kri, (Raja Ampat, Indonesia) a well tended sweetlip school was sitting on a bommie like books on a shelf. What an elegant photo! A great example of the creativity to be found in the pool. Siqi by Wendy Capili-Wilkie. I was just experimenting with model photography in the pool, and came up with this nice reflection and lighting. 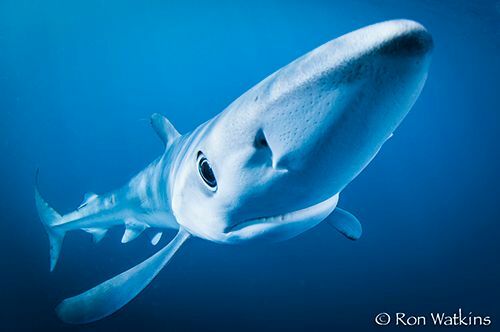 I can't stop looking at this dramatic, well composed blue shark photo. The next Friends of the Guide photo essay will feature photos shot June - August, 2013. Email brent@uwphotographyguide.com with a link to your online portfolio for more details.